SDPB adheres to the open meetings requirement prescribed by the Corporation for Public Broadcasting. The Board of Directors meets “as often as necessary to perform its duties” (§ 13-47-5). Meetings are typically held quarterly at locations around the state. For information about the next meeting of the South Dakota Board of Directors for Educational Telecommunications call SDPB at 800-456-0766. 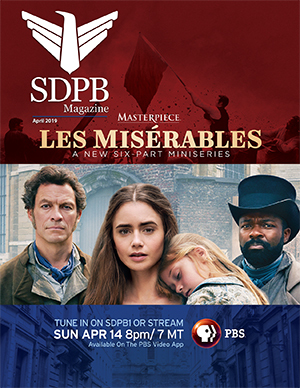 Friends of SDPB is a non-profit 501(c)(3) corporation, which has the purpose to support the mission of South Dakota Public Broadcasting through effective advocacy and fundraising, and to carry on other charitable activities associated with this purpose as allowed by law. Members of the Friends of SDPB Board of Directors are elected from the population at large. The Board serves as the Community Advisory Board, advising SDPB regarding the Community Problems and Needs and assisting SDPB in furtherance of its mission: To use the power of public media to connect South Dakotans with education, information, culture and the arts. “Each year, the Board shall hold at least one meeting, at a time and place fixed by the Board, for the purposes of election of Directors, appointment of Officers, review and approval of the corporate budget and transaction of other business. This meeting is sometimes referred to in these Bylaws as the ‘annual meeting.’ Other regular meetings of the Board may be held at such time and place as the Board may fix from time to time by resolution.” (Article 7, Section 5 – Friends of SDPB Bylaws) Meetings of the Board of Directors of Friends of SDPB are open to the public. Information about board meeting dates and locations may be obtained from Friends of SDPB at 800-333-0789. Current members of the Board of Directors of Friends of SDPB are listed here.